Halloween is in two days! While in America along with other countries, we celebrate by wearing costumes and passing out candy to children, the holiday did not originally start this way. 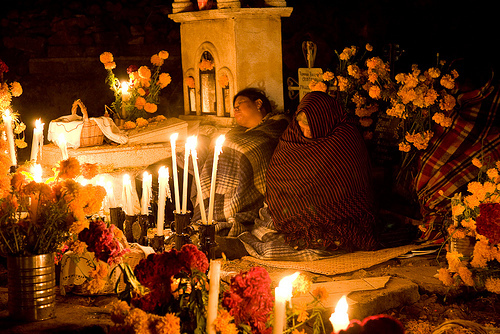 Here is the origin of Halloween and a look at how other countries celebrate their passed loved ones. 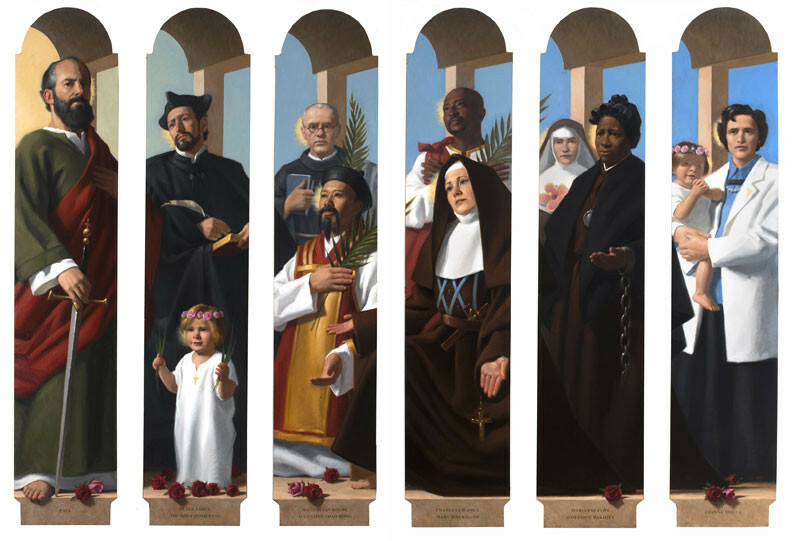 Well known saints painted by Neilson Carlin. The word Halloween originates from the phrase “Hallows’ Eve” meaning the night before All Saints’ Day. 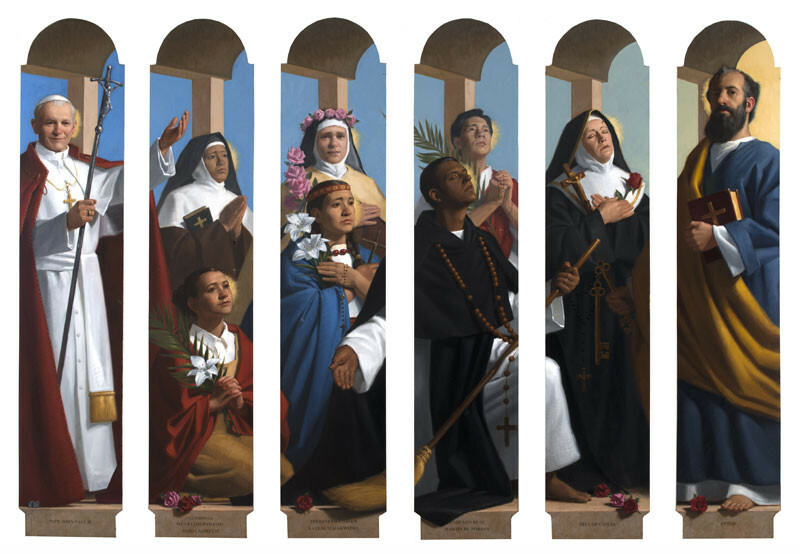 The holiday was founded by Pope Gregory III to honor the men and women who had high degrees of holiness or faithfulness. Catholics today still celebrate this holiday by holding a vigil the night before and going to mass on November first. Somewhere between the 12th and 15th century, the practice of dressing up as a favorite saint became popular. This is one of the many reasons we now use costumes during Halloween. Today Halloween has changed from being a religious holiday to honor the dead into a festive night to wear costumes, scare each other, and eat candy. 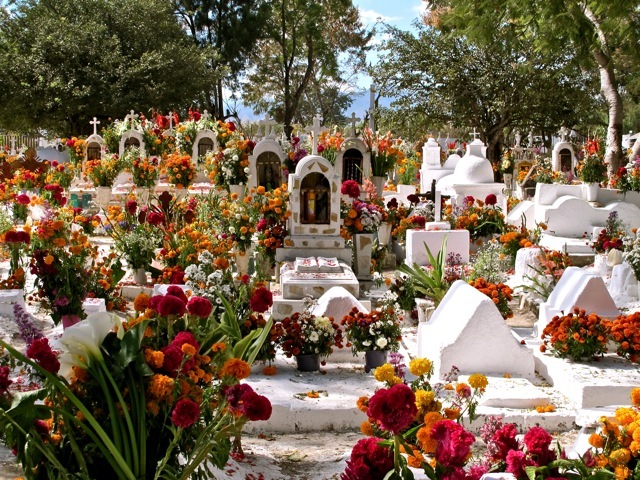 Cemeteries are decorated with flowers and candles. Families keep watch over the graves all night long.